I knew I shoulda taken that left toyn at Albuquerque. 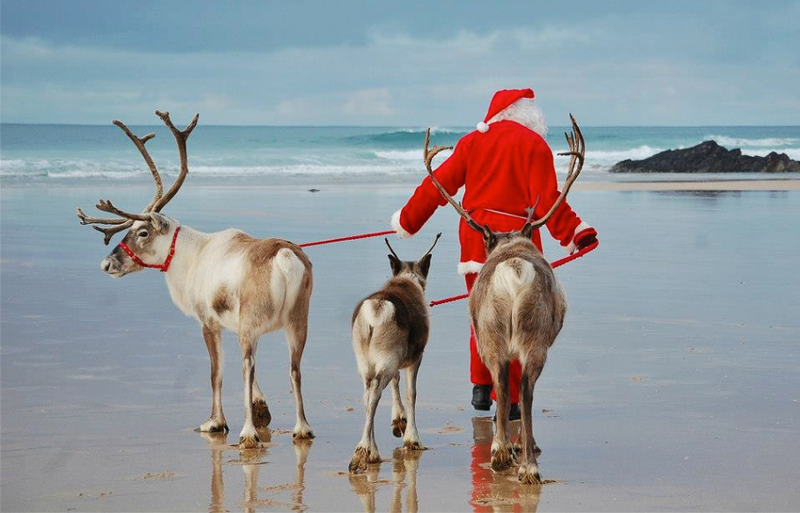 The Morning After Christmas, Santa and company get some R and R Down Under. Life is full of trade-offs: reindeer that can go anywhere on Earth, do. Tired of snow and ice, Santa looks into moving operations to a remote tropical island. In an effort to make him shed a few pounds the reindeer forced Santa to pull them. "Sleigh-Breakdown A Long Way from Home." "Burning up a sun just to say goodbye", huh? Enjoy the coal, you wasteful prick.